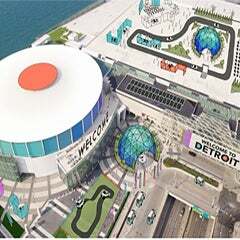 DETROIT December 5, 2016 -- Claude Molinari, general manager of SMG/Cobo Center, today announced the completion of a two million-dollar technology upgrade for Cobo Center. The work includes an upgraded Nortel core switch that distributes the WiFi signal and along with several new Nortel edge switches located throughout the center. “For the visitors that use our WiFi network, these upgrades will be like moving from a one lane highway to a three lane super-speedway,” said Molinari. System improvements also include upgrading WiFi access points to 802.11ac Aruba APs and increasing the number of APs to 400 throughout the facility. The network location of APs and configuration will be remapped based on events’ anticipated high use of WiFi in specific areas. This pre-planning creates design cost-effective networks that support uninterrupted digital services while minimizing cross-channel interference that can result from excessive and disorganized access points. The organic design smooths out the user’s experience and gives them “more on ramps” to the network. 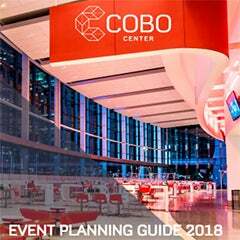 Discovery during pre-event planning for a show in Cobo Center may reveal estimated high usage, in which case, the Technology Services department is prepared to add more APs to smooth out the user’s experience and allow for a greater number of guests and their wireless devices to access the Internet at ever-increasing speeds. Visitor use of WiFi service has always been free throughout Cobo Center. To create a more flexible WiFi network, the ClearPass Access Management System was installed to create an integrated platform, allow coherence of private networks and create a WiFi splash page for the facility-wide “CoboFree” WiFi network, that will require users to click through a splash page designed to highlight sponsors or include advertisers, thus generating event revenue. 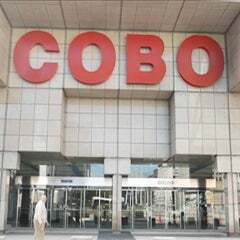 Along with upgrades to the full facility fiber infrastructure, Cobo Center contracted Rocket Fiber, Detroit’s newest bandwidth provider that just recently completed its downtown Detroit fiber network with a hub on Cobo Center property, to upgrade Internet bandwidth to10G.